Professional bike lubricant oil is formulated with PTFE and special additives that reduce wear. This lubricant leaves resistant and stable film with a very low friction coefficient, able to resist to dirt and dust. The dry film that forms after application is composed of paraffin, PTFE and additives that protects the chain in dirty conditions. 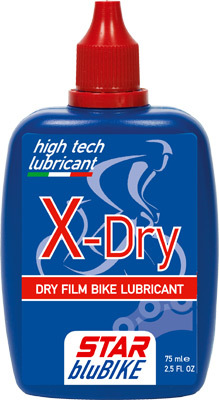 Apply X-DRY a few hours before using your bike to allow complete evaporation.